Seattle Opera's Katya Kabanova - photo by Philip Newton; plus stills from the movies La La Land and All That Heaven Allows. While everyone else was watching the Oscars on TV, I was sitting on my couch dreamily remembering the most cinematic opera I have ever seen in my life. Seattle Opera’s visually stunning production of Janacek’s 1921 Katya Kabanova is, by turns, as color-drenched as a Douglas Sirk and as black-and-white stark as the graveyard scene David Lean’s David Copperfield. Some of the background settings are as magnificent and lonely as the ones in Shane. Cinema is a perfect analogue for this original production because it’s so much about how we see ourselves and others, about how often we look judgmentally and destroy our very own. The opening shot - a girl alone on an empty stage, a space constructed for art - morphs into a star dappled sky. I couldn’t help think of the both realistic and fantasy sequence skies in La La Land, beneath which the hopeful artists imagine becoming Hollywood stars or musicians. A still from the Oscar-award winner La La Land. In Katya, the starry background includes green swirls suggestive of the Northern Lights. You can’t see the Northern lights in LA, but you can from some places in Russia, where “The Storm,” a play from the 1850’s on which the Czech language opera was based, is set. 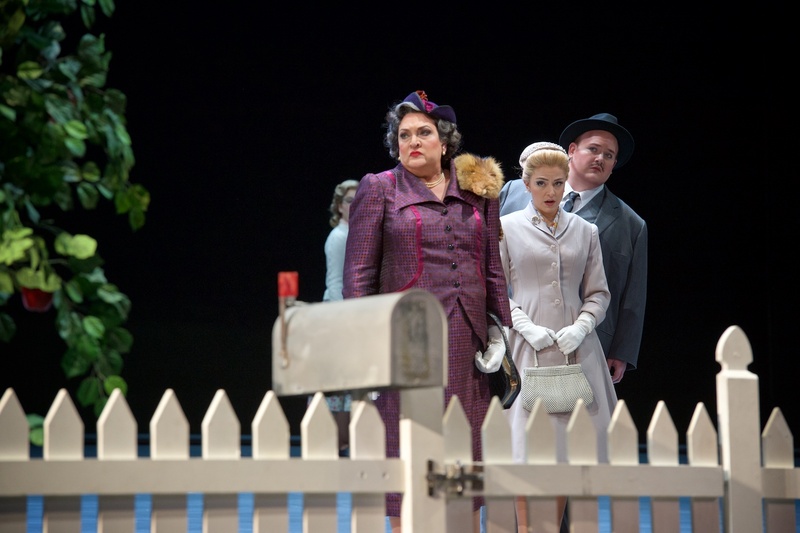 Seattle Opera shifts the action forward a hundred or so years to l950’s America complete with all its miserable conformity, hypocrisy and social pressure. After the solitary Katya dreams beneath the stars, the sections of a white picket fence are assembled across the wide length of the stage in front of her; she’s trapped. When the fence is complete, it’s framed on the left by an apple tree - this place looks as American as apple pie! Old Glory flying near the middle of the fence underscores the squeaky clean patriotism of the place. But the apple tree, of course, is hung with forbidden fruit, and at the far right of the fence are a couple of garbage cans. Not all will stay tidy in paradise. There’s not much original in this story of marital love gone stale, illicit love, the corrupting love of societal convention, etc., in Katya Kabanova, which is like a lot of movies. But part of why we go to these movies and plays and operas is to be reminded that our struggles as humans are common and that they continue despite the age in which we live and the medium in which they are told. 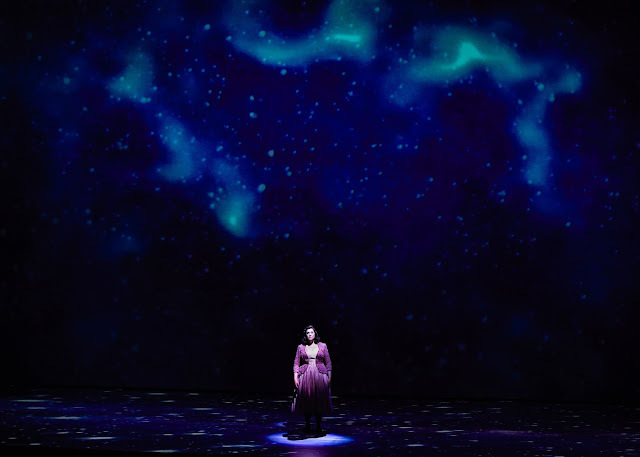 That this production can both so astutely translate Janacek’s opera to our age and connect it to the movies we watch as recently as now, is a testament to the vitality and invention of this company. Bravo Aidan Lang for commissioning this production. More please! Rebecca Brown is the author of a dozen books - fiction and nonfiction – published in the US and abroad. She lives and works in Seattle. 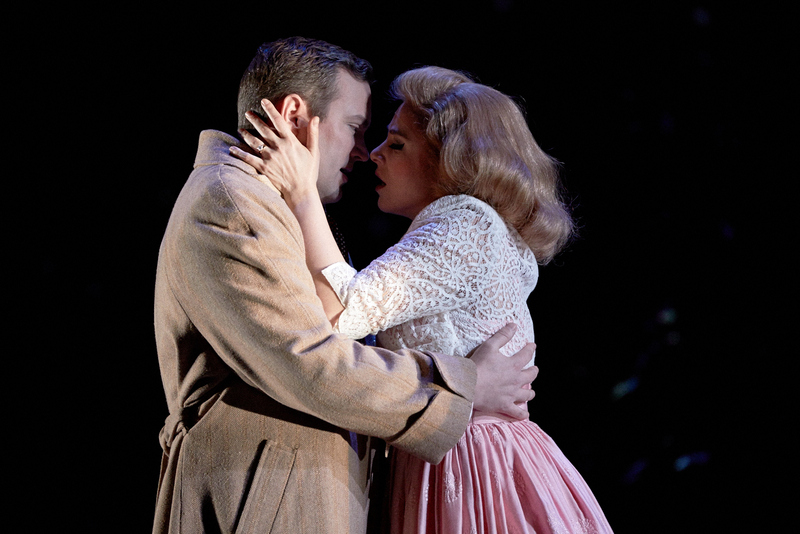 See her opera reviews for The Stranger here.